Aleksia Z. Culafic is an associate at Reimer & Braunstein LLP in Chicago. 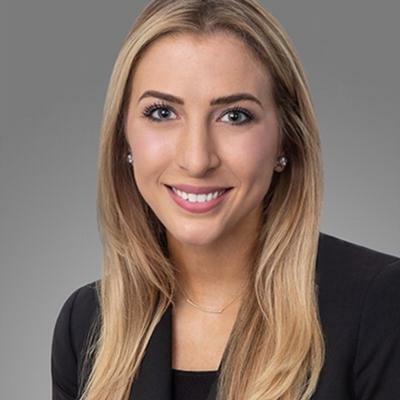 She practices in the firm's banking & finance group, representing financial institutions in both single-lender and multi-lender commercial real estate financing transactions, both locally and nationally. Prior to joining Riemer & Braunstein LLP, Aleksia represented clients in a broad range of commercial real estate transactions, including acquisitions, dispositions, leasing, development and financing projects for retail, hospitality, industrial, and office properties. While in law school at the University of Illinois Urbana-Champaign, Aleksia served as the Admissions Editor for The Elder Law Journal. She also served as a judicial extern for the Domestic Relations Division of the Circuit Court of Cook County. For this work, she received a pro bono notation from the University of Illinois College of Law. Ms. Culafic is an Ambassador Board member of Lifeline Humanitarian Organization, an international foundation committed to providing humanitarian aid and assistance in Serbia.